After months of technically having posts a day late (I usually post after 10 PM), I decided to skip ahead and do the 8-Bit Mondays on Sunday night so they would, in fact, be available on Mondays. Today’s is from the original Gradius. Gradius is one of the longest-running soundtracks still in use today (incidentally, predating Super Mario Bros. by a few months). Released in 1985, the arcade Gradius featured pleasant music with loops averaging about 30 seconds each – one of which, the “Boss” theme, is still used today! Seven stages plus boss battles means that there was a little over 4 minutes of music total (not including the “Morning Music”). That said, Gradius makes full use of those four minutes to create several impressive and memorable tracks, my pick of which is the “1st Stage” theme. The soundtrack was composed by Miki Higashino. “1st Stage” is pleasing to the ears with the long notes in major scale that we’ve come to identify with memorable vgm. The song is very short, with only an A and B section. The note range reflects the maneuvering of Vic Viper, notes rising and falling with the ship. The music instills joy and confidence in the player, moving the game pleasantly forward – it is, in short, the idealized thrill and freedom of cartoon combat flight. In an interview with Yasunori Mitsuda (conducted while collaborating on Ten Plants), Higashino states, “I tried to create songs that would stimulate the listener’s ears and send out pleasant pulses to their shooter-brains.” This philosophy was based on what the player’s experience would be during the game, and changed depending on the type of game as well as the stage within it. Indeed, what she chose was a good fit (though a couple of the mid-stage themes I don’t find terribly fun). It is vgm at its earliest and purest form. The Gradius arcade soundtrack was first released on cassette in 1987 and featured musical scores as inserts. 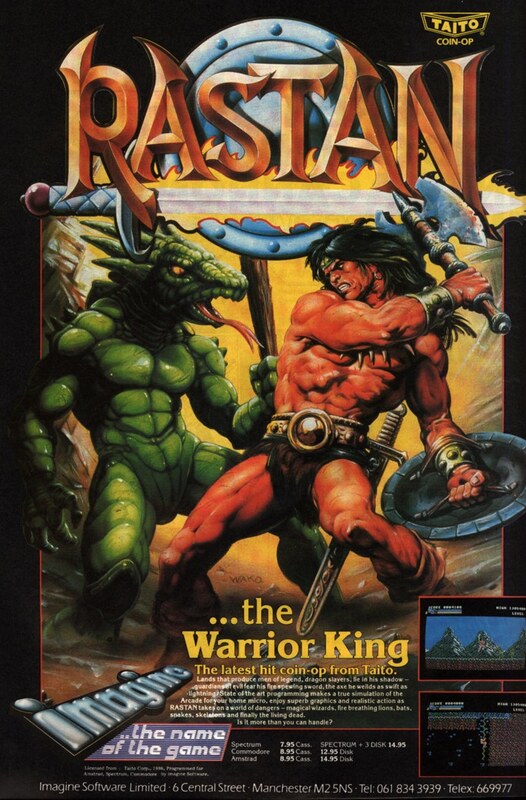 The B side of the album also had gameplay recordings – game music arrangers weren’t quite sure at this time what the best way of putting game soundtracks onto an album would be. A cleaner copy can be heard in the Gradius Arcade Soundtrack (2002), which compiles music from all four arcade games. “1st Stage” was remixed in Gradius Perfect Selection as “Challenger 1985“, a wonderfully groovy rock piece with a slick guitar and brazen synth trumpets. Miki Higashino, who also composed the Salamander arcade soundtrack (as well as Gensousuikoden), is the composer of the Gradius soundtrack (done while freelancing as a part-time worker). She was one of Konami’s first composers Read the rest of this entry ? So far, we’ve looked at original and licensed music used in games as well as music about games. What about other media that use vgm, such as the soundtrack to a film or tv show based on a game? For this example, we have the Salamander OVA (1988-9), a three-part anime loosely based on Gradius 2: Gofer’s Ambition (1988). This series contains remixed music from the Salamander and Gradius 2 games to fit with the theme of the series. “Last Battle” from Salamander OVA 3: Gofer no Yabou Original Soundtrack contains arrangements of several themes from Gradius 2, including “Tabidaichi” (“Depart”) and “Salamander ~Boss Theme~”. In this instance, I think we can approach it the same way we would any arranged vgm: even though the piece is part of a film/tv show soundtrack, because it is arranged music from a videogame, this particular track can be considered vgm while simultaneously being thought of as an anime soundtrack. Note that a lot of the music in Salamander OVA sounds original, so even though they use a few arrangements, the albums themselves are anime rather than vgm. The distinction is that they contain vgm arrangements. Incidentally, many videogame adaptations make generous use of arranged game music, particularly works like the Super Mario Bros. cartoons. Sadly, some completely miss the opportunity, such as the Doom movie, which contained no homage to “E1M1”. Ahh… I think it’s time for some more Gradius love! This one is one of my favorite pieces from the album Perfect Selection Gradius (which had a Daily a couple months back). Actually, the entire album is completely fantastic, with excellent early 90s synths that feel like NES chiptunes on steroids. Couple this with live guitar, strings, and sax, and you’ve got a great lineup. “Cosmo Plant” is the plant stage of Gradius III (1991; Stage 8 in the arcade, 6 on the SNES). As such, it has a nice organic feel to it, brought through by the strong cello (Hajime Mizoguchi) with the “Cosmo” part provided by the synths. When the two get together, it’s a real tasty combination, particularly with the positive major scale – it’s a nice sense of wonder as you fly past. At about 1:25, there is a nice break with a guitar solo from Nazo^2. The layering of instruments is simply enjoyable and there’s a great beat. Just another fun day flying through outer space! Gradius III was composed by a bunch of guys: Kazuki Muraoka, Kazuhiko Uehara, Harumi Ueko & Yukie Morimoto. In those days, Konami didn’t list who composed what (not even on the album soundtracks), Read the rest of this entry ? Well, today was my big trip to Boston, which included a layover in Chicago. Kind of a crazy trip, but I made it! Checked out MIT’s GAMBIT lab where they were playing abstract shooters (games like Rez and Everyday Shooter). I’d like to celebrate by sharing a track from a classic shoot ’em up (shmup), Gradius, specifically “Introduction ~ King of Kings” from Perfect Selection Gradius, an equally classic album. “King of Kings” is the ambitiously named title theme for Gradius III. The song may be referring to the series’ status as one of the top shmups of all time, but it’s also possible it has something to do with the narrative. In any event, the track is a march, and so continually rolls forward like the Gradius war machine. While the clarinets help make the track feel a little humbling, but it has a great sense of the depth of space with the bells in this section as well. This also captures the feel of the arcades. 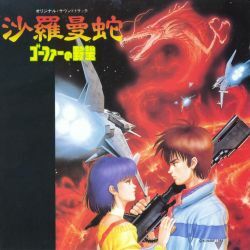 Perfect Selection Gradius was arranged by the Nazo² Project, a group of electronic synth musicians including Hideki Matsutake, Jun Irie, Nazo Nazo Suzuki, and Willie Nakao, who play sax, violin, and cello. They have produced a whole collection of “Perfect Selection” albums for Konami. The album was arranged by Jun Irie, whose other works include the Gunstar Heroes soundtrack. An interesting note is he also played for Akihabara Electric Circus, which was famous for producing some early Nintendo remix albums.